Those who grow nuts or purchase nuts because they love them will find some very creative recipes in this book. 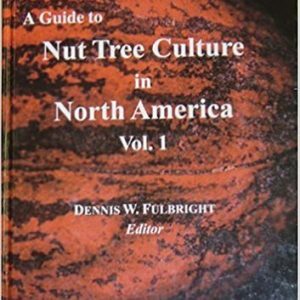 This cookbook represents the collective knowledge of NNGA’s CAP (Complimentary Alternative Program) group and of long time nut growers. Each, no doubt, has had many years of experience preparing meals, desserts, salads, snacks and soups which incorporate nuts. 229 recipes, which list nuts as an ingredient, are in this cookbook. These recipes are divided into the following groups: appetizers and soups, breads, main dishes, vegetables, salads, cakes and frostings, candies and snacks, cookies and squares, pies, and desserts. As a bonus the CAP group has included a squirrel section consisting of 26 recipes ranging from Cajun Squirrel to Squirrel Stew. The reader will also find a list of nutritional values for chestnuts, macadamia nuts, walnuts, pecans, almonds, hazelnuts and peanuts. The cook will find a useful tables of ingredient substitutes, a table of weights and measures, and a table of equivalents which, for example, will tell the cook that 15 graham crackers are equal to 1 cup of fine crumbs.